3M Water Soluble Wave Solder Tape 5414 has poly-vinyl alcohol backing which is water soluble and a synthetic water soluble adhesive. This tape is designed to mask gold fingers on printed circuit boards during wave soldering. 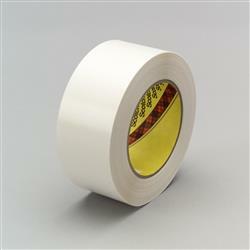 3M(TM) Water-Soluble Wave Solder Tape 5414, no adhesive residue after removal, low static upon liner release and when taping board, humidity extremes do not affect tpae properties, used to mask gold fingers on printed circuit boards during wave soldering. Jaco Aerospace and Industrial is your one stop resource for 3M Water Soluble Wave Solder Tape 5414 has poly-vinyl alcohol backing which is water soluble and a synthetic water soluble adhesive. This tape is designed to mask gold fingers on printed circuit boards during wave soldering. and all of your 3M Products, Tapes, aerospace and industrial needs.